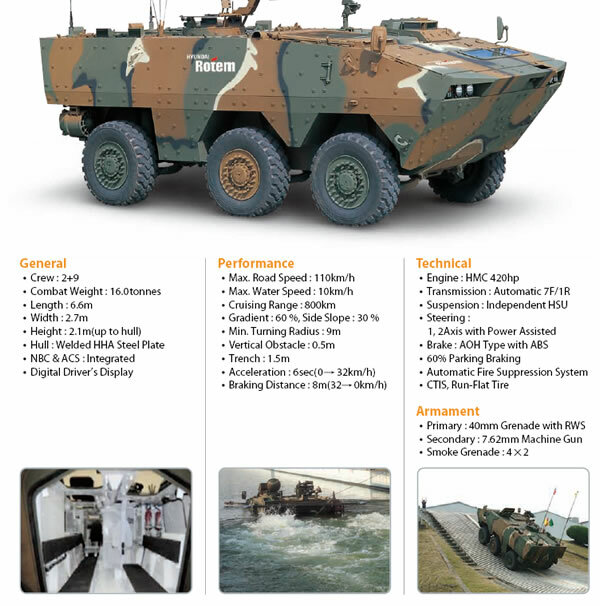 The Hyundai Rotem KW1 Scorpion 6×6 Wheeled Armoured Personnel Carrier aka 6×6 WAV (Wheeled Armored Vehicle), was selected in 2012 as the South Korean military wheeled combat vehicle systems program. The vehicle is expected to enter service in 2016. The 6×6 Wheeled Armored Vehicle is an infantry combat vehicle that is fitted with a 420hp diesel engine developed by Hyundai Motors, 7-speed transmission and 2-mode secondary transmission. Capable of moving on both land and water, it has been engineered to maximize crew operability with its ergonomic design and scalability to family vehicles. 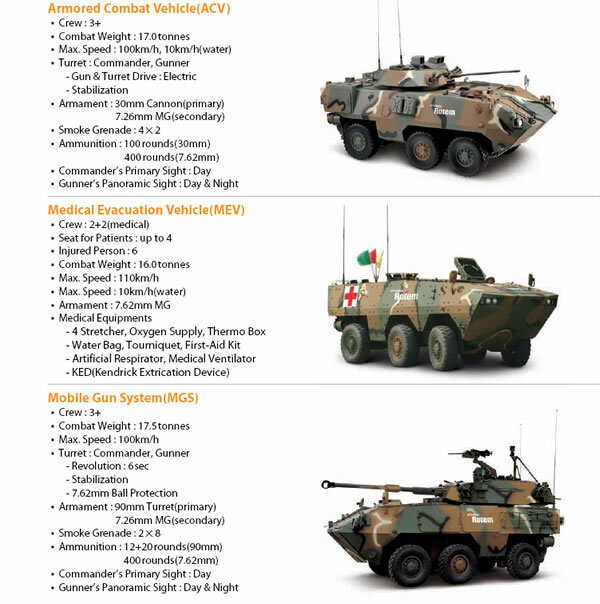 The 6×6 Wheeled Armored Vehicle is currently in the system development phase and is expected to be deployed by 2016.